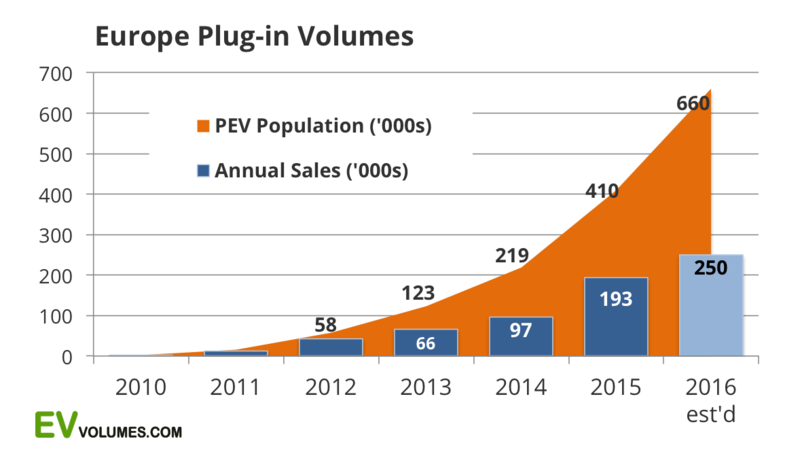 A total of 91,300 plug-in electric vehicles were sold in Europe through the first 6 months of 2016, making for a 21% year-on-year increase (as compared to the same time period in 2015), according to the most recent figures from EV Obsession and CleanTechnica partner EV Volumes. 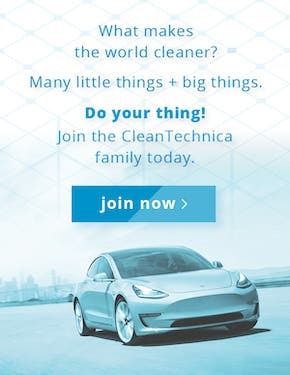 In this context, “plug-in electric vehicles” refers to all-electric (EV) and plug-in hybrid electric (PHEV) passenger vehicles, as well as light commercial vehicles (i.e., delivery vans). While growth was strong earlier in the year, the second quarter saw a notable decline. Year-on-year sales during June were more or less flat, and growth for the quarter was only around 13%. The slowdown was mostly down to weak growth in Denmark, the Netherlands, and Switzerland. Growth elsewhere remained fairly strong, though — in particular, in Spain, Austria, Finland, Portugal, and Belgium. 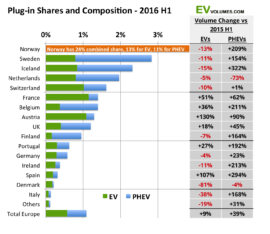 PHEV growth was strong nearly across the board, with only the Dutch and Danish markets seeing a drop. 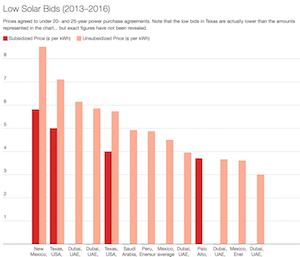 The extreme drop in the Netherlands (-73%), a key market, was mostly the result of changed taxation policies, which thus distorts the overall picture of growing electric vehicle awareness and popularity. 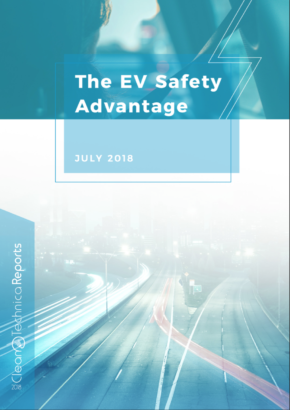 As far as the country-scale split for plug-in vehicle market share, Norway retained a huge victory margin — with around 24% of the country’s total automotive sales being accounted for by EVs and PHEVs. 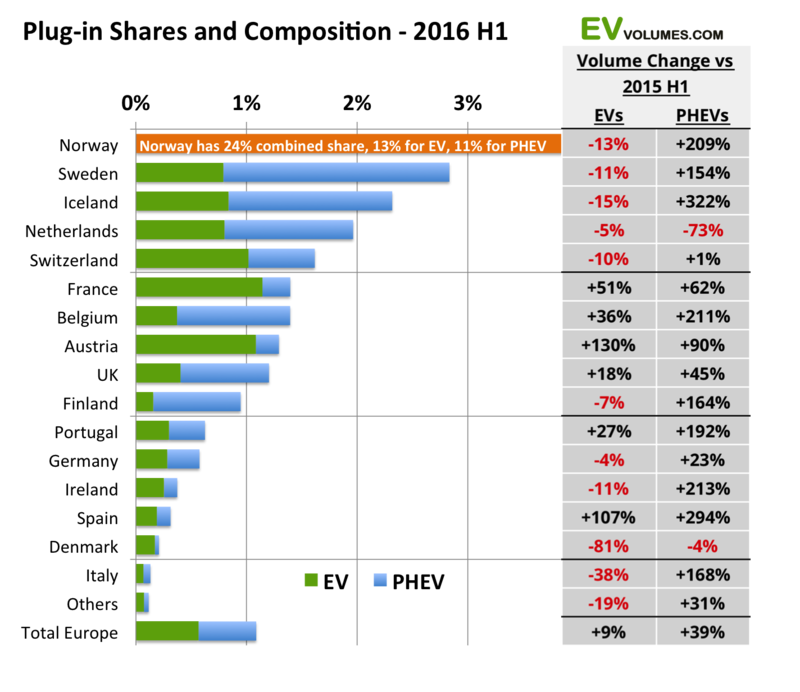 In second place was Sweden with a nearly 3% market share for plug-in vehicles. 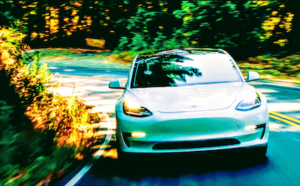 This was followed by Iceland, the Netherlands, Switzerland, France, Belgium, Austria, and the UK — all with plug-ins accounting for a greater than 1% share of the countries’ total automotive market sales. With regard to the best-selling models, the Renault Zoe held the top spot in June, accounting for roughly 14.2% of all plug-in vehicle sales in Europe. 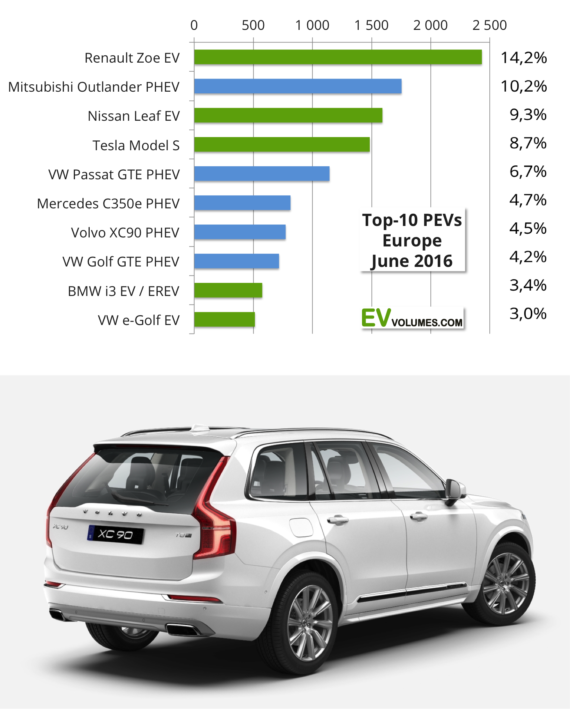 This was followed by the Mitsubishi Outlander PHEV (10.2%), the Nissan LEAF (9.3%), and the Tesla Model S (8.7%). 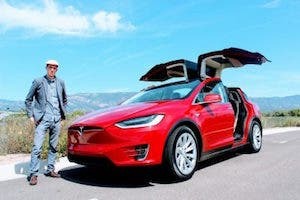 Interesting developments during June were a surge in Nissan LEAF sales in France and Norway, and a drop in Tesla Model S sales in Norway and Denmark (which could be due to demand or Tesla shipment priorities or issues). 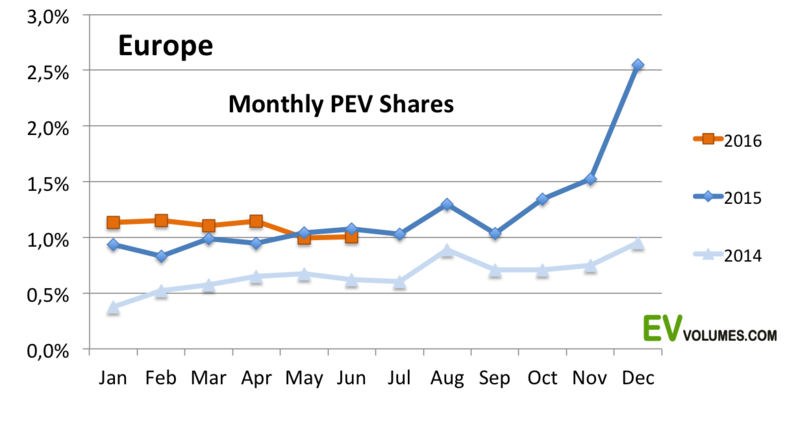 The Nissan LEAF surge is particularly interesting, as there’s a much improved version of the popular EV slated to hit the market in a year or so. Harsh words. Though, ones that are likely accurate. 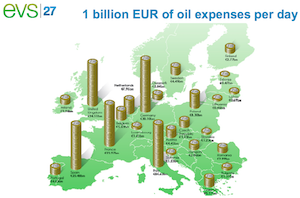 For all of the talk about working to reduce greenhouse gas emissions, current policies and market conditions don’t seem to be enough to support the achievement of the goals that have been set by various regional governments in Europe.